Built on the site of ancient Antiphellos, Kaş is a charming seaside town on the Mediterranean coast of southwestern Turkey. 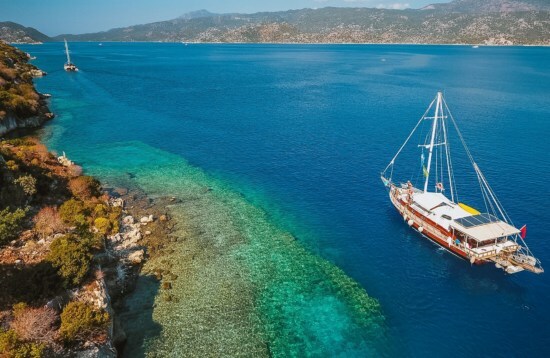 Its winding, cobblestone streets and picturesque harbour have made it a yachting paradise and an idyllic stop on Blue Cruise gulet trips along the Turkish coastline. 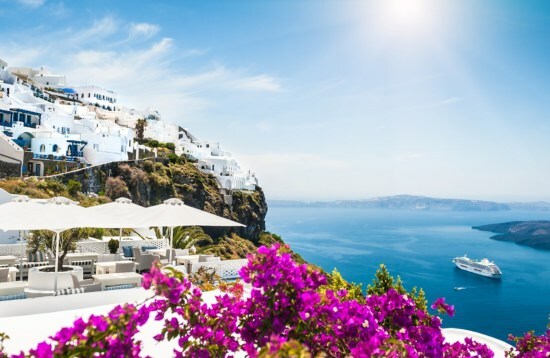 Wander the charismatic streets of the beautifully preserved old town, lined with alfresco cafes, eclectic boutiques and whitewashed houses draped in bougainvillea. Explore the ancient amphitheatre and town walls, as well as the 4th-century BC “Lion Tomb” - one of many Lycian sarcophagi that can be found in Kaş. There are no beaches in the town itself but many restaurants have platforms where you can dive straight into the Mediterranean waters. Kaş is also renowned for having some of the best scuba diving in Turkey, with a staggering array of marine life to discover. Venture below the water’s surface at one of the 50 dive sites, including a World War II airplane wreck and a cargo ship that was sunk in the 1950s. Adventure seekers will find no shortage of inspiration in and around Kaş, with the opportunity to go canyoning in the nearby Kibris Canyon and Saklikent Gorge or mountain biking through the rugged surrounds. Grab a kayak to slowly paddle along the coast or tackle part of the legendary Lycian Way trail that winds along the coast. 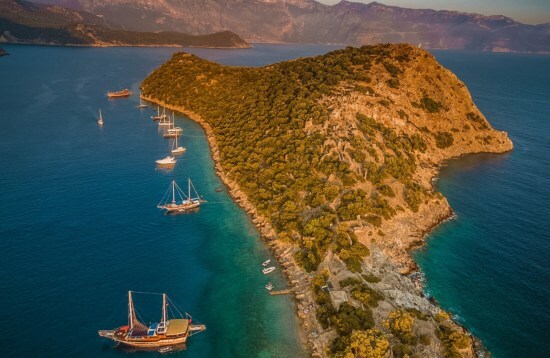 Get a bird’s eye view while paragliding above the harbour of Kaş or venture off on a jeep safari to discover the traditional villages that dot the surrounds. Blue Cruise gulet trips from Kaş explore the fascinating sunken ruins of Kekova and the 4th-century acropolis and sarcophagi of Üçaǧız. Soak up the views from the medieval Kaleköy Castle and witness the 1st-century Titus Baths that nestle at the base. If you’re after some beach time, head to Kaputas Beach that lies between Kaş and Kalkan or journey to one of the beautiful stretches of sand at Liman Aǧzı. 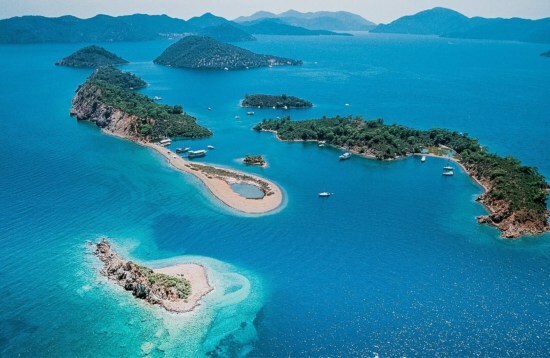 While the tourism boom has seen many towns along the Turkish coast transformed, Kaş has retained its traditional charm that makes it an undeniably alluring destination.